National Guard Products is an internationally known manufacturer of commercial door hardware products, including thresholds, gasketing, lite kits, and louvers. 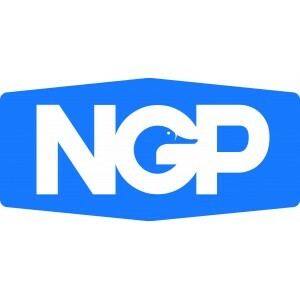 NGP is dedicated to manufacturing the finest commercial door hardware products available, and that means working closely with independent organizations to ensure the highest quality possible. All of NGP’s fire-rated products have been tested and listed by Underwriters Laboratories, including IBC Part I and Part II for positive pressure. Their ADA compliant products meet and exceed the requirements of the Americans with Disabilities Act Accessibility Guidelines. Browse the National Guard Catalogue of Commercial Door Hardware. Browse the National Guard Catalogue of Threshold Products. Thermal break saddle threshold. 7"wide x 1/2" high 8' long, DKB finish. Half saddle threshold, 2" x 1/2"